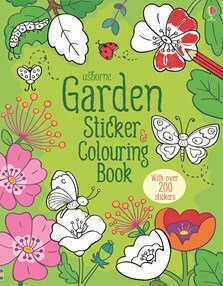 An activity book full of garden animals, bugs, birds and flowers to colour and stick. There are over 200 stickers to add to scenes of flowerbeds in bloom and bugs munching lettuce leaves, and colouring pages of frogs and newts in a garden pond, owls in a tree and more. Large background areas are already coloured in, so children can colour the fun details. There is a lot to learn in this book.